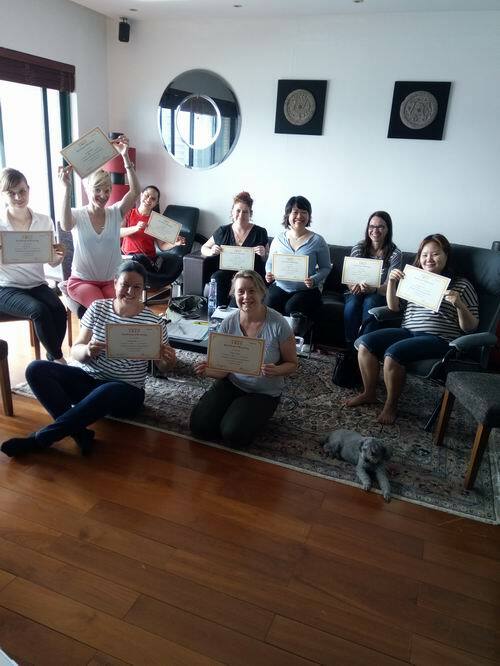 Anna's Traditional Chinese Medicine(TCM) Based Food Therapy Training Course provides full TCM theories and food therapy for common diseases and symtoms, as well as popular health issues that people care about. What’s TCM Based Food Therapy? Chinese food therapy, or Chinese dietary therapy, or Chinese nutrition diet, has a long history. It’s under the guidance of TCM(Traditional Chinese Medicine) theory, by making use of food properties, and taking appropriate cooking method to make into curative foods to regulate bodily function and get to health status or cure illnesses at early stage. TCM is called preventive medicine. The treatment philosophy of TCM is to prevent, treating before a disease happens. The priority of treatment is to use food. Medicine is used only after food is failed to cure. 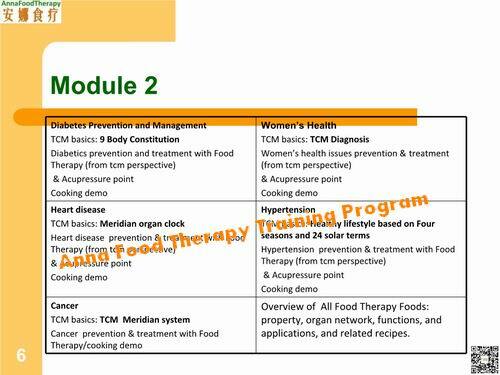 The purpose of this training program is to let you say goodbye to medicines, serious and chronic diseases. After learning every time when you feel uncomfortable you know how to use real whole foods, tuina(massage) and other natural methods to adjust, which avoid further developing or evolving into serious or chronic diseases. Because you’ll also learn full TCM theory you’ll know how to practice to use local foods(your hometown’s or the city you are living) to treat illnesses or keep health. You can start a business by teaching and consulting local people on how to use food to keep health and treat illnesses. Or involve TCM Based Food Therapy in your health business. 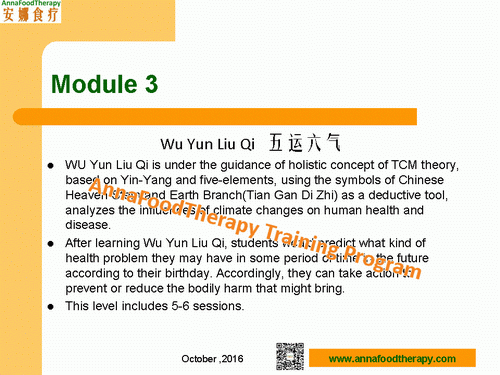 TCM Based Food Therapy is rooted in Chinese culture. It’s an opportunity for those who are interested in Chinese culture or those who are working in China to learn. There are four modules. Please check the following tables for details. The symptoms and diseases that will talk are not limited to the listed. Fill in below form to contact us if you have any questions. Q. What is the difference between your TCM course and those the universities do? A. The universities teach more about how to use medicinal herbs, but very little about food therapy. 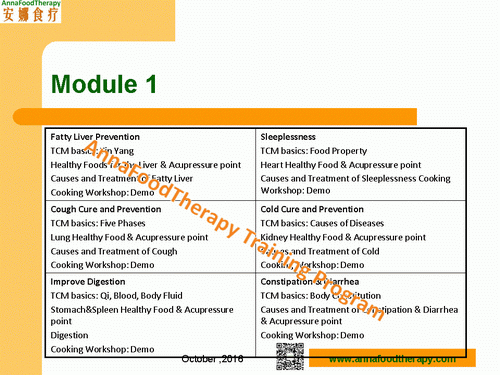 Our TCM courses concentrate on food therapy(dietary therapy).Students will learn full TCM theory and how to apply foods in daily life and disease. After you learn how to apply Food Therapy and other natural healthy methods you won’t have a chance to get serious or chronic diseases(this is also our purpose). You don’t need medicinal herbs. Further more, Only qualified doctors can apply Chinese medicinal herbs. The courses of universities actually are suitable for those who want to become a TCM doctor. It needs several years of study and practice to grasp how to use herbal medicine. But it's different by using foods. Though it still needs constantly practice, foods are safe. Like western medicine system, the course of universities likes western medicine for doctors while our course likes nutrition for dietician. That's why some experts call Chinese food therapy (dietary therapy) as Chinese nutrition. And my certification is Food Therapy Therapist. Q. I am very interested in the food therapy part. How many recipes do we get? ( drinks, foods, snack etc?) do we get recipes we can easily use at home? A. We didn't count the number. We'll give classic recipes. But we try to teach students how to compose recipes of their own based on these classic recipes. The recipes we share will be easy to be prepared at home. Q. I'm a vegan/vegetarian. Do you have replacements if the recipes come with meat? A. Every meat recipe has a vegetarian/vegan version. Q. Can I use local(my country's) food to replace some introduced foods in food therapy recipes? A. Because you’ll learn full TCM theory you’ll know how to practice by using local foods. For example, if some of your local foods can expell coldness you can mark it and apply it in heat sydrome later. We hope more friends come and learn this valued system and go back to practice local foods. That's why current tuition fee is very low. Q. Will you also talk about natural herbs in TCM? And where to get safe products? A. Sure! We'll talk about a few herbs, which are safe and popular used. And will let you know where you can get them. In Chinese medicine there are no clear boundary between foods and herbal medicine. And there is a saying in China that all medicine including Chinese medicine is poisonous (side effect). That’s why we don’t recommend to use herbal medicine, except when a person has obvious serious disease. Q. Do you have online courses? A. So far we only have this program in Shanghai. We're considering online courses in the future. 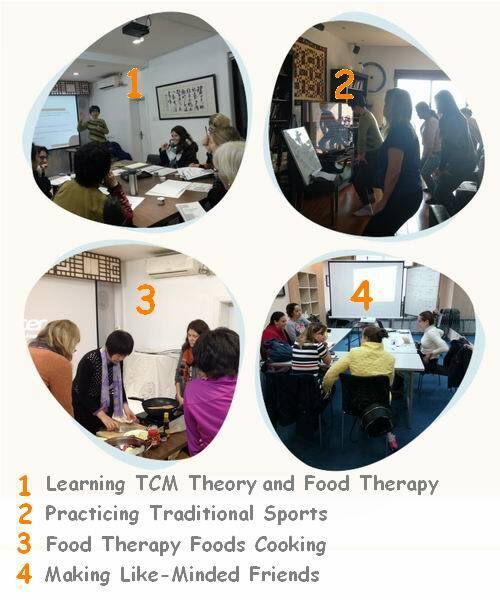 Many of the students in our TCM Food Therapy classes are health big fans or experts. That’s why they know the trend and attended the class without hesitation. The following are comments from Miss Estefania and Ms. Gerd. (more comments are coming soon). Both of them finished highest level-Wu Yun Liu Qi study. Estefania is vegetarianism and a big fan of yoga. She’s very beautiful and smart. It seems she is never polluted by this complicated world. Her nature beautiful made me feel the world is so beautiful! ways. It is not only to prevent any possible sickness, but also regarding to treat them. I am a truly believer that we are what we eat, and being in China, sometimes, due to the different from western culture, plus t he language barrier, it is not easy to get all the information that Anna kindly shared with us. many of the vegetables that are new for me, in a really taste way! Gerd is a very elegant and kind lady. She has two very proud men in her life, that is her husband and her son. She is gluten intolerant. Really appreciate the comments from Gerd and Estefania. Based on Traditional Chinese Medicine theory we know how to prevent disease, and even cure illnesses at early stage by using foods and nature herbs. So we won’t be attacked by serious and chronic disease. TCM is not a simple medicine. It’s important part of Chinese culture as well as Chinese philosophy and Eastern ideology. TCM is an important way of Chinese people recognizing this world and thinking about this world. It deserves us to learn.